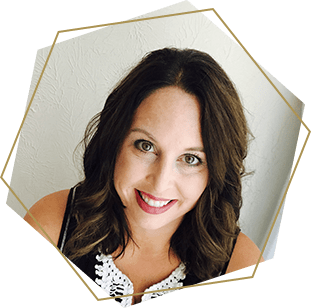 Ok, admit it, you have at least one thing in your house that is crazy out of control…there are days when this one thing makes sense and other days when it’s baffling. You probably have a love-hate relationship with it! You love that you can put anything in it but you hate that you can’t find anything in it! Maybe you’ve given it a fitting name and even labeled it the “junk drawer” or maybe it’s where you keep your make-up, hair accessories, or random utensils. The reality is, most modern day households have at least one drawer that we just can’t seem to rein in. Whatever your drawer…if it’s the classic “junk drawer” or a random drawer in your laundry room, bathroom, or kitchen you need to check out these 4 easy steps to organize any drawer. Because ain’t no one got time to go lookin for stuff! True confession…our junk drawer lived on for far too long! In fact, we had twin junk drawers. They live lived side by side as if one wasn’t enough. I guess we didn’t want it to be lonely! We’ve been in our house for almost 6 years and with each passing year, our collection of odds and ends grew. I knew you could find batteries in one of these twin drawers and I imagined there were some birthday candles in there, but I had no idea what else dwelt in the land of misfit knickknacks. The first step to organize any drawer is to sort its contents. I liken this to doing a puzzle. When starting a puzzle, I dump all of the pieces onto a table and then group them based on color. Similarly, when sorting through items in a drawer you should remove all of the things in the drawer and group them into like categories. When I was going through the twin junk drawers, I found collections of things like hairbands, screws, office supplies, spare keys, and coins. Oh, and how could I forget the batteries and candles? At the end of this process, you’ll find that you have collections of many items, but then there will be the random singletons that don’t have any counterparts. The next step will help you determine what to do with the groupings or singletons. Likely, not everything should go back in the drawer. There are some things you’ll want to throw or give away (depending on what’s in the drawer). There are other things that already have a home in another part of your house. The items that you identified in the previous step, as singletons, should have a home somewhere else or maybe need to be reclassified. For example, if you’re cleaning out a bathroom drawer, you might have 1 toothbrush, 1 thing of dental floss, and 1 tube of toothpaste. You could keep all of those items individually or group them collectively as “dental supplies.” Do you see the difference? Last but not least there are items that will need to stay in the drawer. You’ll want to do a visual assessment. Are you left with too many items? Will they all fit neatly back in the drawer? If you have too much, then reassess and decide if any of the groupings make sense somewhere else in your home. 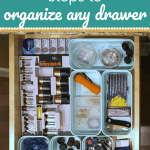 The third step to organize any drawer is to put some structure in the drawer. 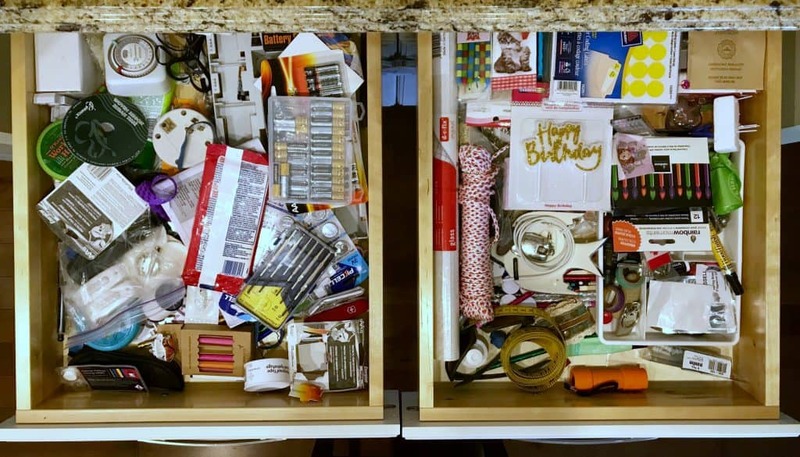 I find that an open drawer without containers or dividers will quickly become disorderly and then you’ll be no better off than before. 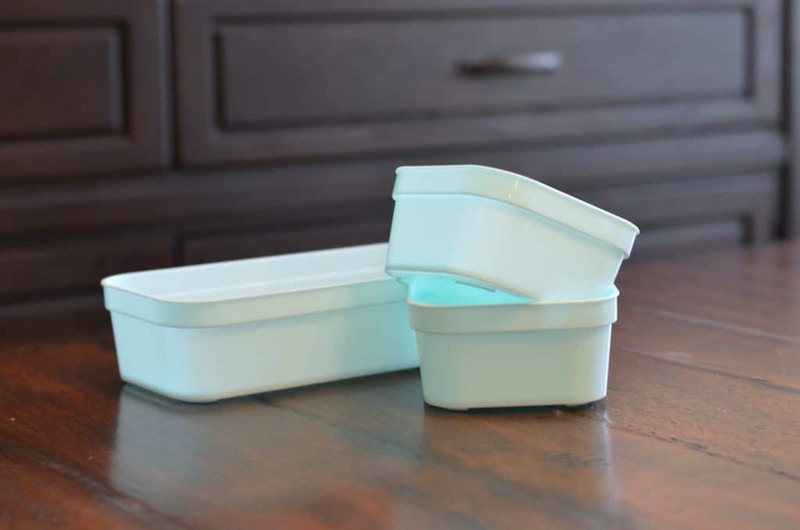 You can purchase containers fairly inexpensively. Places like the Dollar Store, Wal-mart, Target, and Ikea sell containers at a reasonable price. If you prefer to repurpose items you already have instead of buying new containers, that’s an option as well. Things like mason jars work well or old stationary boxes. Based on the number and size of the groupings you prioritized in step #2, determine the number and size of containers you’ll need. You may even want to have some containers with lids. We have a lot of small circular batteries smaller than a dime. They are pretty dangerous for young kids, so I chose a small jar with a lid for those items. Finally, it’s time to put it back together. Place your containers in the drawer with your groupings of items. It’s likely that the containers may not perfectly fit in your drawer. That’s ok! 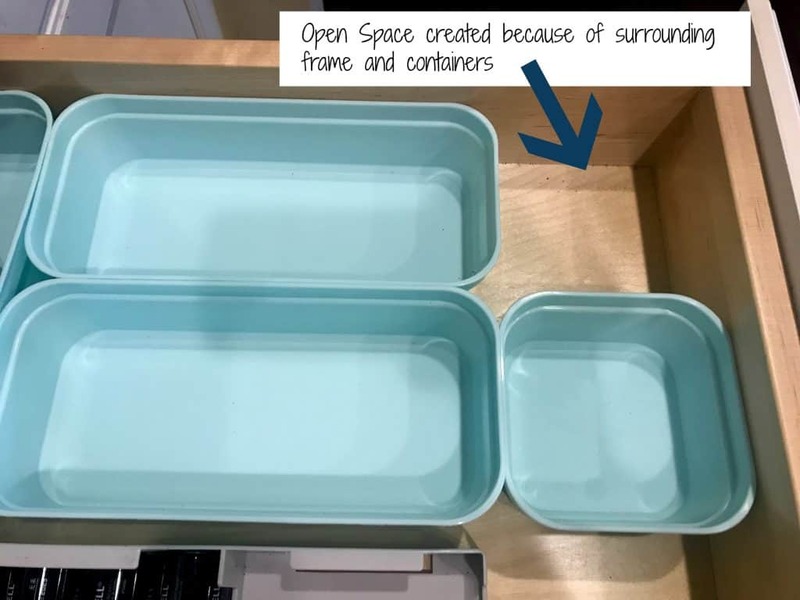 By having the majority of your drawer filled with containers, they will wall off and create a small enough place that acts like a container for other items. 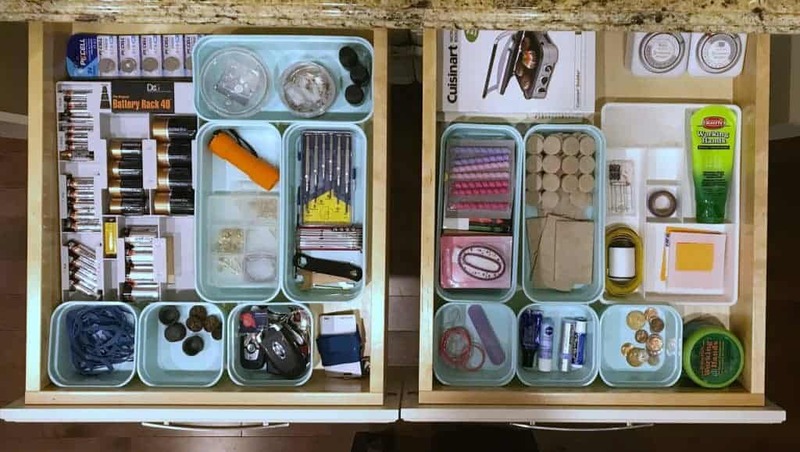 Think of organizing a drawer like doing a puzzle. Sort and categorize the pieces. Begin to put them together focusing on one section at a time. Build the frame by using containers and then fill it all in by returning it neatly to the drawer. 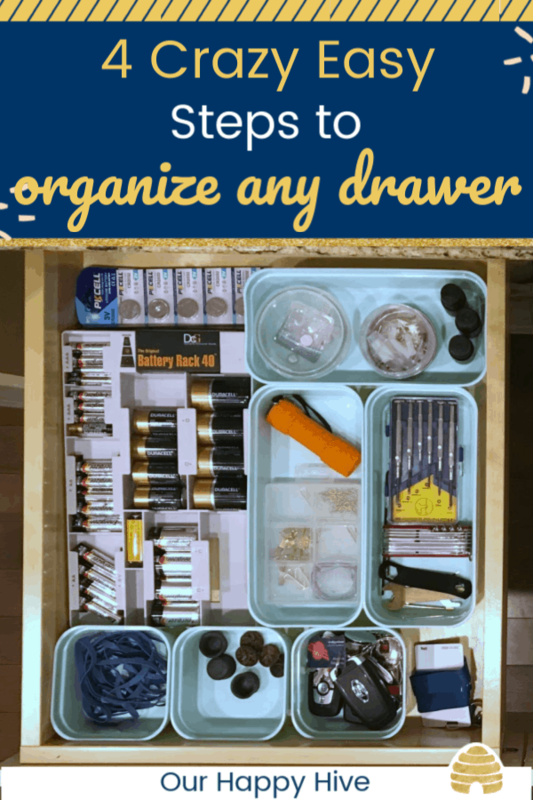 These 4 easy steps will help you organize any drawer in your house! Doesn’t it feel oh so good? Honestly, before I took on this organizing project in our house, I usually avoided the junk drawer. I sincerely had no idea what was in there and I likely didn’t need it. By decluttering and organizing I can now easily see what’s in there. It helped us clear off a couple of other piles that were collecting on top of the counters, and helps my husband and me simplify our process for finding things we use daily like our car keys or hairbands for our daughter’s hair. It also feels so good to not have the cluttered twins looming there any more! I’m clear on what we have, that it’s things we need, and where I can find them when I’m in a pinch. I know you’ll feel the same when you tackle your secret drawer!